Paritta (Pali), generally translated as "protection" or "safeguard," refers to the Buddhist practice of reciting certain verses and scriptures in order to ward off evil fortune or dangerous conditions, as well as to the specific verses and discourses recited as paritta texts. The practice of reciting or listening to the paritta suttas began very early in the history of Buddhism. In the Pali literature, these short verses are recommended by the Buddha as providing protection from certain afflictions. The belief in the effective power to heal, or protect, of the saccakiriya, or asseveration of something quite true is an aspect of the work ascribed to the paritta. An example of such a collection is the Sinhala Pirit Potha ("The Book of Protection"), also known as Maha Pirit Potha and the Catubhanavarapali ("Text of the Four Recitals"). It has also been referred to as "The Buddhist Bible." This collection is typically given an important place in the Buddhist home, and is even treated with veneration. The book contains a collection of twenty-four or twenty-nine discourses (suttas) almost all delivered by the Buddha, and found scattered in the five original collections (nikayas) in Pali, which form the Sutta Pitaka, the "Canonical Discourses." Below, these discourses and related canonical sources are identified. ↑ Rhys Davids & Stede (1921-25), p. 426, entry for "Paritta2" (retrieved 08-14-2008 from "U. Chicago" at http://dsal.uchicago.edu/cgi-bin/philologic/getobject.pl?c.2:1:1923.pali) provides the following translations: "protection, safeguard; (protective) charm, palliative, amulet." Also see Piyadassi (1999a) who translates paritta as "protection," and Anandajoti (2004) who translates it as "safeguard." 1 2 3 Piyadassi (1999a). ↑ C.A.F. Rhys Davids, Dialogues of the Buddha, part 3, p. 186. ↑ Anandajoti (2004), p. v.
↑ The use of paritta to ward off menacing spirits can be found, for instance, in the Pali commentaries to both the Ratana Sutta and the Karaniya Metta Sutta. ↑ Thanissaro (2003). Archived February 4, 2013, at the Wayback Machine. ↑ Of the twenty-nine paritta texts listed below, Piyadassi (1999a) does not include the first five texts as part of the twenty-four discourses that he includes in the collection, although he identifies the first five texts as preliminary material. Anandajoti (2004) enumerates all twenty-nine texts as part of the paritta collection. ↑ Table based on Anandajoti (2004), pp. ix-xi. Piyadassi Thera (trans. only) (1999a). The Book of Protection: Paritta. Kandy: Buddhist Publication Society. Retrieved 08-14-2008 from "Access to Insight" at http://www.accesstoinsight.org/lib/authors/piyadassi/protection.html. Piyadassi Thera (trans.) (1999b). Candima Sutta: The Moon Deity's Prayer for Protection (SN 2.9). Retrieved 08-14-2008 from "Access to Insight" at http://www.accesstoinsight.org/tipitaka/sn/sn02/sn02.009.piya.html. Piyadassi Thera (trans.) (1999c). Gilana Sutta: Ill (Factors of Enlightenment) (SN 46.16). Retrieved 08-14-2008 from "Access to Insight" at http://www.accesstoinsight.org/tipitaka/sn/sn46/sn46.016.piya.html. Piyadassi Thera (trans.) (1999d). 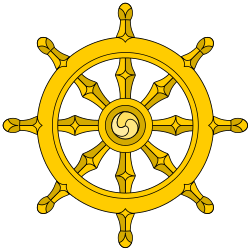 Ratana Sutta: The Jewel Discourse (Sn 2.1). Retrieved 08-15-2008 from "Access to Insight" at http://www.accesstoinsight.org/tipitaka/kn/snp/snp.2.01.piya.html. Piyadassi Thera (trans.) (1999e). Suriya Sutta: The Sun Deity's Prayer for Protection (SN 2.10). Retrieved 08-14-2008 from "Access to Insight" at http://www.accesstoinsight.org/tipitaka/sn/sn02/sn02.010.piya.html. Thanissaro Bhikkhu (trans.) (2003). Angulimala Sutta: About Angulimala (MN 86). Retrieved 08-14-2008 from "Access to Insight" at http://www.accesstoinsight.org/tipitaka/mn/mn.086.than.html.